The Department of Dogmatic Theology seeks to provide an appropriate and unitarian understanding of Catholic doctrine. To achieve this goal, it promotes scientific thinking among facolty and students, with particular attention to the critical and methodological requirements of theological science, the content of Christian revelation, and the communication of faith in the present religious and cultural context. 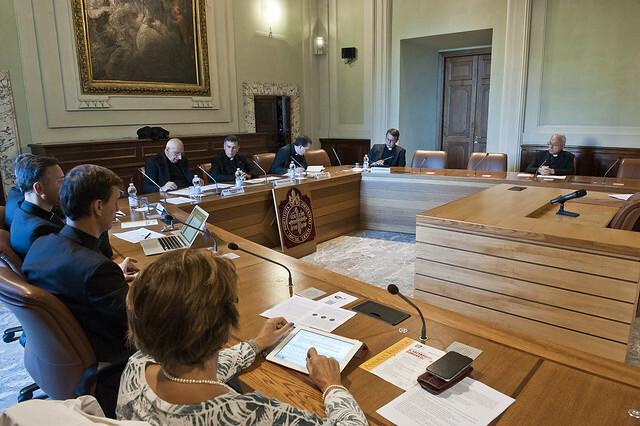 Through the organization of seminars, collaboration on research projects and teaching activities, the Department supports an integrated theological training, firmly anchored in Jesus Christ, and open to new instances and developments, always in continuity with the tradition of the Catholic Church.